FREE parking - one car per structure. Additional parking available for £50. Get ready for Glastonbury Festival 2019! Some video inspiration guaranteed to give you festival fever. Glastonbury Glamping 2019 at The Retreat - Why Choose Us? 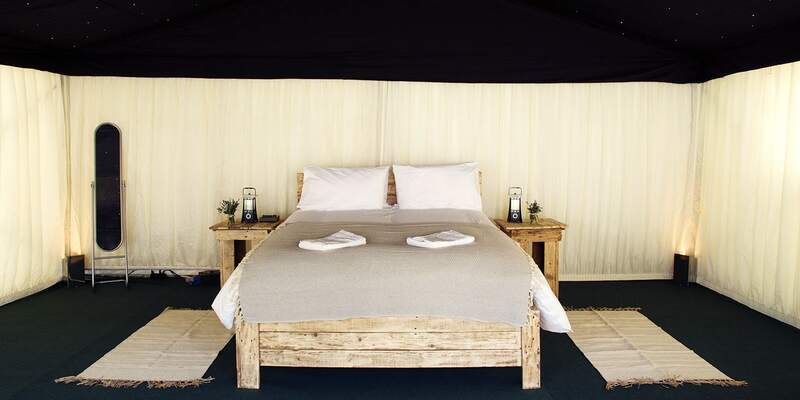 The Retreat takes luxury glamping to another level! Say goodbye to uncomfortable bumpy floors and fusty damp sleeping bags. 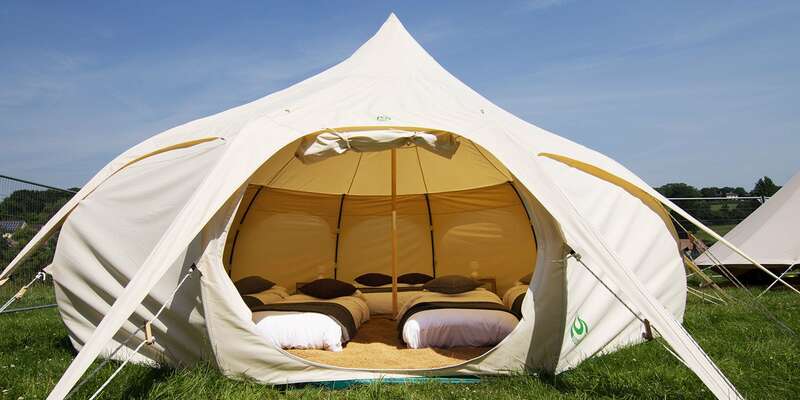 Camping has its place but glamping will take you higher! Say hello to proper plush beds, hot showers and champagne by the fire. 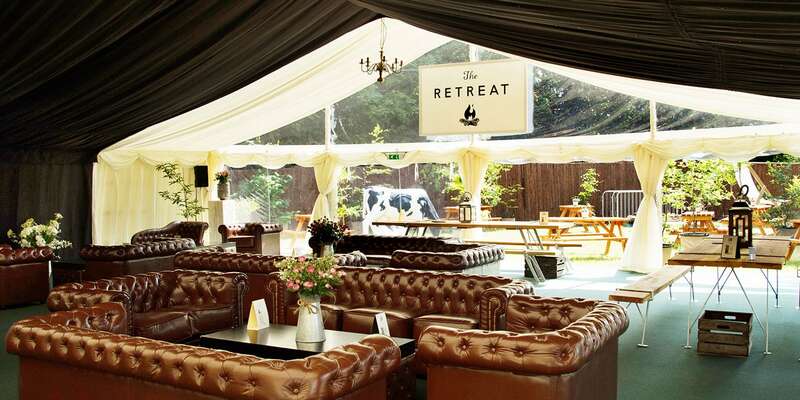 The Retreat’s sister company Barny Lee Marquees have been supplying high end marquees for weddings and events since 2003. We now combine all of our expertise and party organising skills to bring you the Glastonbury Retreat – the ultimate glamping experience. Booking a stay on our exclusive site will ensure your Glastonbury Festival 2019 will be the best ever! Our experienced on-site catering team produce a wide selection of locally sourced food and drinks, serving breakfast through to midnight snacks. There is a licensed bar serving hot and cold drinks, champagne, local ciders and draught beers, with fabulous chill out/sitting areas. Unwind by the firepits and discuss the day’s highlights whilst planning which headliners to watch tomorrow. After a fabulous night’s sleep in a super comfy bed, you’ll be ready to party again! Our guests have full access to the fabulous pamper rooms which include hairdryers and straighteners as well as drying facilities and phone charging equipment. Luxury clean toilets and hot showers make all the difference after a hard day of festival action. If your muscles need some TLC, we are also offering Pilates and massage treatments on site in our pop up spa which you can book online in advance. 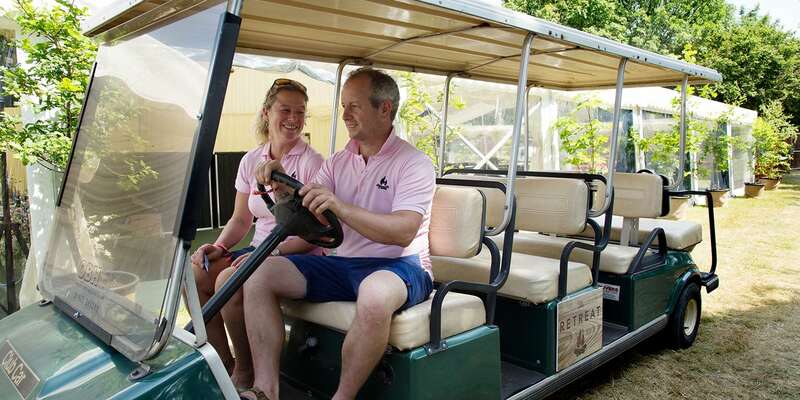 We will transport you to and from gate B in style on our super cool buggy, save your legs so you can get from the Pyramid Stage to the Avalon Field with a spring in your step. Car parking has never been easier; each tent comes with one free car parking space for the full 5 days, additional car parking spots can be purchased for £50 each. Click here for directions. Glamping has all the benefits of a hotel near Glastonbury but brings you so much closer to the music and the spirit of Pilton festival. Don’t miss out! Once you have your Glastonbury 2019 ticket you are then able to book your glamping accommodation and pay online here on our website. Also, you are able to book meals in advance, additional parking and extra guests. Call us on 01458 460010 or 01458 460012 for advice before booking, alternatively you can send us a message. If you have already booked please have your booking number handy.